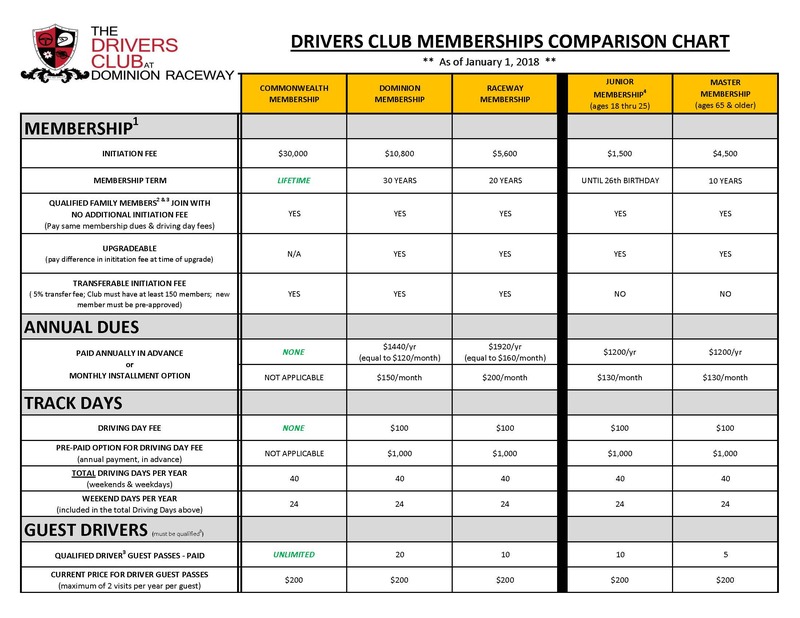 The Commonwealth is the most elite level of membership, and of course, provides the most benefits and amenities of all of the Drivers Club memberships. For more information, please click here. The Dominion level provides a membership term TWICE as long as the Raceway membership, and has lower monthly dues, higher priority to garages, and double the guest access. For more information, please click here. The Raceway level is priced very competitively within the region, and because of the close proximity to DC and Richmond, members can make use of their membership quite often; even for just an afternoon, if desired. For more information, please click here. The Junior is available to those who are 18 to 25 years old. All of the fees are significantly reduced to help young motorsports enthusiasts to be able to afford a club membership, while just getting started with their careers. 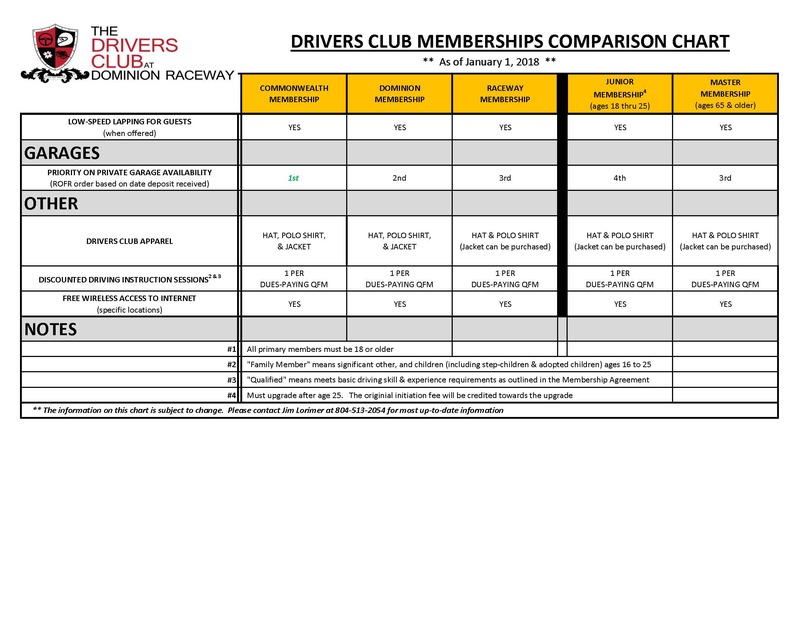 Junior members get most of the same benefits, privileges, and amenities that a Raceway member gets. For more information, please click here. The Master is available to those who are age 65 or older. Master members get all of the same benefits, privileges, and amenities that a Raceway member gets, but at reduced rates. For more information, please click here.